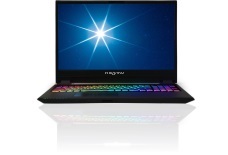 Fully customizable, GPU-upgradeable, CPU-upgradeable, long-lifespan, heavy-duty laptops. The evolution of our desktop replacement technology is now entering a new phase called "supercomputer laptops". 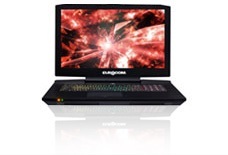 Now you can experience the power of a desktop CPU and a desktop GPUs in a laptop form factor. The historically successful “desktop replacement” concept introduced by Eurocom in 1986 aimed to deliver performance levels that emulate a desktop computer by utilizing the fastest and most expensive mobile processors and mobile graphics cards available. The “supercomputer laptop” uses a superior approach by incorporating fully serviceable and upgradable modular desktop components into a completely portable extreme performance laptop form factor. 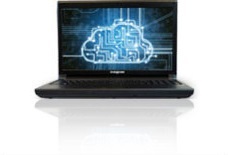 Therefore, a “supercomputer laptop” is a workstation class desktop PC replacement that delivers uncompromised performance, without the limitations associated with utilizing mobile platform technology. Eurocom's Mobile Workstations are designed for heavy-duty computing so they are built like heavy-duty trucks — portable yet extremely powerful with maximum upgradeability, expandability, and reliability. 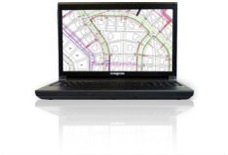 Ideal for professional workstation applications: Computer Aided Design (CAD), Computer Aided Engineering (CAE), Computer Aided Manufacturing (CAM), Digital Content Creation (DCC), Virtual Reality (VR) by engineers, designers, architects, animators, graphics professionals, software developers and digital content creators who travel, yet need access to workstation on-the-go computing, are the core beneficiaries of Mobile Workstation technology. Mobile Workstations offer significant gains in processing power, accelerating every application within your organization. These systems are designed with the highest resolution displays, the fastest processors, the most powerful video cards and the largest possible drives. Fully upgradeable and re-configurable, Mobile Workstations will help achieve long term stability and give you the most value out of your technology. Mobile Server is a new, innovative category of server-class heavy duty Intel Xeon based laptop with an all-in-one design with integrated display, keyboard and built-in UPS / Battery Pack. Server on the Go (SotG) is a complementary approach that adds an entirely fresh set of possibilities on top of existing rackmount server options. The All-in-One, laptop based compact design, single computer solution allows for server capability anytime, anywhere. Server-on-the-Go allows for either “on-the-go”, “rapid server deployment”, “private cloud” or “Ad Hoc” (temporary network setup) when single server capability is required, multiple operating system compatibility is needed and running virtual machines is a must. A Server-on-the-Go solution is perfect for network monitoring and auditing, testing of new applications, software and database developers, training centers, military personnel, manufacturing, marketing and trade shows, emergency relief and service organizations. It allows start up companies and other organizations to acquire full network capabilities instantly “out of the box”. Network Managers, software and/or database developers, training centers, military personnel, law enforcement, forensics, emergency relief and service organizations would benefit from Server on the Go technology. The perfect balance of performance and mobility! Take insanely powerful gaming potential on the go! 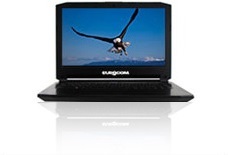 Eurocom's Super Gaming systems are highly customize-able, easily upgrade-able, desktop equivalent performance power-houses in a sleek, cutting edge design. Lightweight yet heavy duty fully loaded business and enterprise class laptops with high resolution displays, high performance processors, large amounts of memory, super fast SSD drives and large capacity storage. Equipped with Intel vPro technology. Perfect for all of your enterprise, corporate and/or individual computing needs, running all of apps that you need, running multiple VMs as well as creating and managing your own collections of videos, pictures and music any anything else that you like.